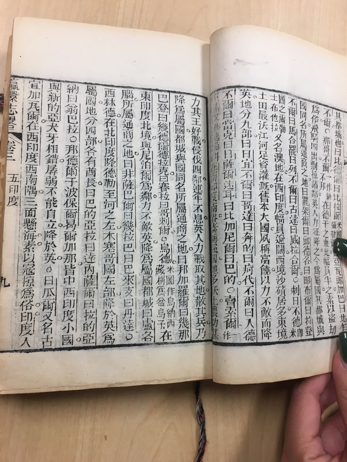 The piece I choose from the MASC to talk about for this blog post, comes from a Chinese 19th century geography book printed on what looks like and feels like Xuen paper. My first impression of this book was quickly changed after pretty much getting a history lesson from Clara on the Chinese culture of literature and how Chinese authors structure their writing on a page! I guess what most intrigued me the most on wanting to write about this book was that the reader reads from right to left and from top to bottom. Me, being really fascinated with the Asian culture and especially the Chinese culture was also another reason why I decided to talk about this specific book. This example (as discussed with Clara in class) has the visual presents that it does because dating back to the original Han Chinese writing style, “authors” would write in this way. But as the new wave of Chinese writing emerged (communists took power), this style of writing took a backseat and eventually became ancient. 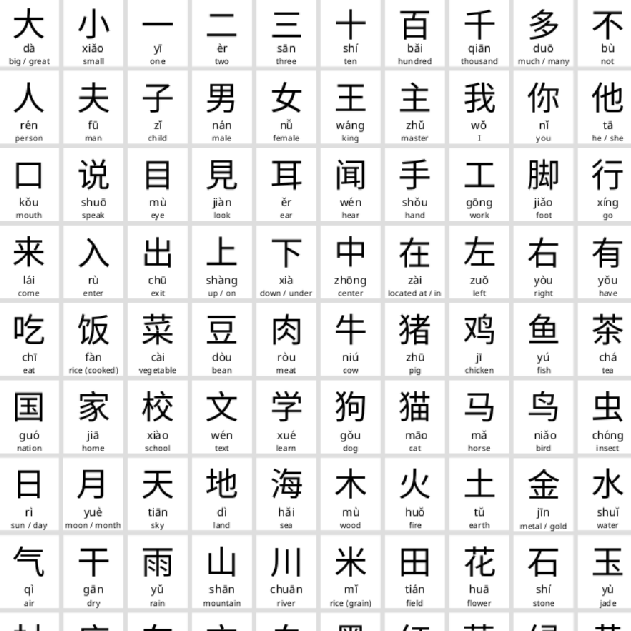 The Chinese typeface, having a more visual form of language really can’t alter the way they present their form of text to the public. Yes, there is always a way to alter any type; but in this case with each symbol made within the visual symbol (square box each word/visual symbol is structured in) holds its own meaning and combining them to mean a word/phrase/etc. In this book and in regards to specific characteristics of the symbols, the ways in which I see different symbols relate to one another are firstly by their width and height on the page. Another observation I noticed about this text is that when one writes in this way they use multiple different symbols to make up on symbol. This isn’t in every symbol, but for the most part it is relevant in most symbols as presented in the image to the right.